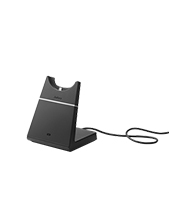 Plantronics Blackwire C3215 Monaural 3.5 mm/USB-C Headset is an innovative corded UC headset that has become the epitome of comfort and durability. The device delivers comfort through the collaborative effort of its soft ear cushions and comfortable headband that can be positioned on the comfortable position preferred by users. Its durability comes from the materials from where the device is made from in the first place. And since it is incredibly durable, it can also serve as an investment for organisations and companies, who can benefit from the long time that they would be able to use it. 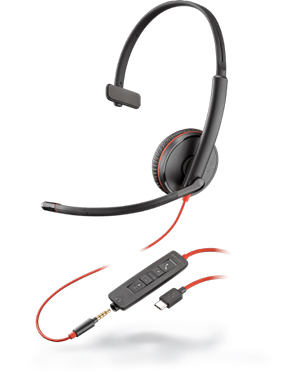 Plantronics Blackwire C3215 Monaural 3.5 mm/USB-C Headset delivers optimum audio quality through PC wideband, Hi-Fi stereo sound, and noise-cancelling microphone. It can also automatically adjust EQ settings based on the quality of the user’s voice and the quality of the current active call. All of these factors are working together in order to power the audio quality of this device and result to better work productivity. Get to know more about this top-notch offer by giving our hotline: Australia wide 1300 131 133 a call today! Plantronics is a leading developer and manufacturer of audio technologies and systems integrated in their products and solutions. The most popular products offered by the company include PC audio devices, home and office headsets, gaming headsets, mobile headsets, and Bluetooth headsets. Some of the solutions offered by the company include Unified Communications (UC) solutions, contact centre solutions, enterprise solutions, Digital Enhanced Cordless Telecommunications (DECT) solutions, and small business communications solutions. Plantronics started operating in 1961, which is also when the company decided to focus on the development of lightweight headsets in order to improve the current ones used by the market and industry, which are mostly big, heavy, and bulky. This can to fruition in 1962 with the introduction of Plantronics MS-50 headset. Currently, Plantronics operates in the global market under the leadership of President and CEO Joe Burton. He is supported by approximately 5,000 employed experts of their own fields worldwide. 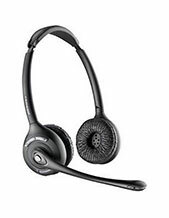 One of the largest online stores in Australia today, Headsetsonline Pty Ltd takes pride in being able to provide the market with a powerful and expansive product portfolio, which is also primarily how the company is able to cater to different types of customers. It has been operating for decades as part of an enterprise famous for providing corporate sectors and government agencies since the year 1998. With these decades of experience, the company has created a powerful product portfolio comprised of Australian standards certified audio products and high quality technical support services. Headsetsonline makes sure to guarantee the quality of its products and solutions by only choosing reliable and established Australian distributors and not grey imports. With this, the warranties that come along the products and solutions are also guaranteed to cover customers Australia-wide. 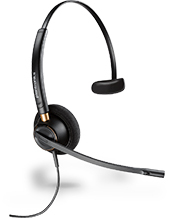 Headsetsonline provides incredible convenience for customers. It offers flat shipping rates for deliveries, where customers won’t need to worry about surprise fees and hidden charges, however big or in bulk the deliveries may be.